1) Tassimo – this my best friend before 7am every morning! The only complaint I have is that my favourite caramel drink is always out of stock at Tesco so I may have to resort to buying 5 packs at a time from Amazon! 2) Lists – I decided at the start of last week that I was fed up of nagging the children to do their chores and having to listen to, ‘I forgot’ every time I asked why a job hadn’t been done so I made everyone (apart from daddy who has enough work to do at work!) a list of daily chores. It worked really well and we’ve had a lovely tidy house all week. One of the best things about the schedule is that doing all the chores daily helped stop them all piling up, like the laundry and the ironing, which meant I had more time to spend with the kids; we’ve had activity time most nights where they take it in turns to choose the activity and it’s been lovely. 3) Cake – ’nuff said! 4) Fruit and blender – We bought this blender from Sainsbury’s a few weeks ago and finally got it out of the box this morning. The kids now have a new love of fruit! 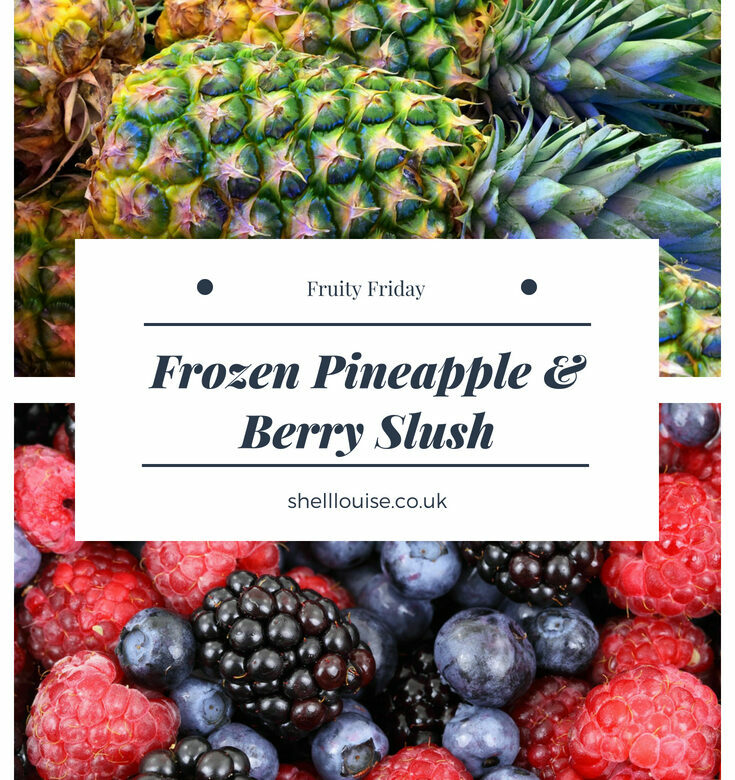 We make smoothies, milkshakes and yogurt drinks and the girls especially love chopping up the fruit and adding all the ingredients. Challenge 46 of my Day Zero Project is to cook my way through a cookbook. It was a hard choice because I have quite a few cookery books, but given that I’m supposed to be losing weight (not doing very well at the moment….more about that in another post) I thought the best choice would be a book based on fruit. 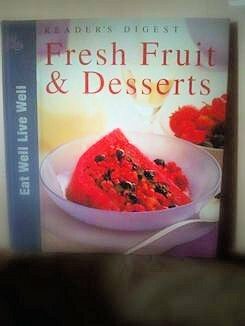 As you can see, the one I picked is a Readers Digest book and it’s called, Fresh Fruit & Desserts. I was very, very tempted to cook my way through, Desserts to Die For but I couldn’t bring myself to do it. As the name suggests, all those calories would probably kill me off! Anyway, back to the healthy recipes. We all eat quite a lot of fruit and vegetables in this house but we tend to stick to the same ones so I thought this book would vary our diet and make things a little more interesting. I’m going to post a recipe, photos of the finished dish and the reactions from the family every Friday. I’ve just been browsing the recipes and there are some that look absolutely delicious and some that I’m a bit nervous about getting the kids to try because I know they’re not very adventurous with new food! It’s something they need to get used to though so this challenge should help with that. I’m sure if I get them involved in the preparing and cooking of each recipe, they’ll be more inclined to try the finished dish.